The chance to play. The belief to succeed. Project Winter Camp serves all children of Jamaica by creating opportunities, which in turn give them something powerful: belief. Belief that they deserve to play, and that they can achieve more than they knew, on the field, in their community and in life. Working with players to improve their skills and technique. Giving girls the same chances as boys to play soccer, and to lead. 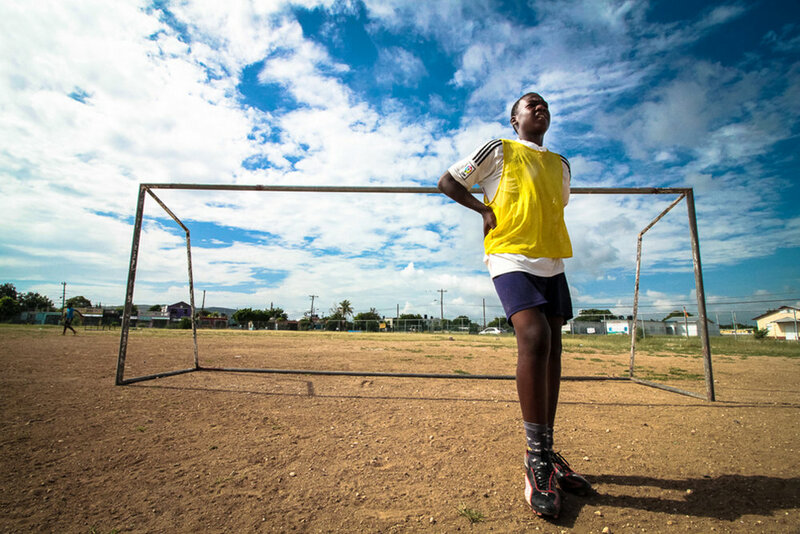 The passion for soccer among Jamaican children is intense and endless. They love to play—often on dirt fields, sometimes without a regulation ball—and they idolize professional players. But high quality coaching has never been made available to children in underserved communities. That’s what PWCJ brings them. Our experienced coaches (many who played at a competitive level) conduct a high-impact soccer camp that helps young players develop their dribbling, passing and shooting skills. From a young age, Jamaican girls are every bit as excited to play soccer as boys. But a deep rooted cultural stigma around female participation in sports discourages girls from playing, limiting their opportunities and ultimately reducing their interest. We give girls equal chances to play soccer, alongside boys. And it goes beyond the field—our female coaches serve as role models, demonstrating to boys and girls alike that girls can grow up to be successful, respected leaders. Preparing kids with knowledge, skills and tools for success in life. Participating in a structured camp where coaches become role models. Soccer might be what attracts so many boys and girls to PWCJ (we know the feeling—we love soccer every bit as much as we did at their age! ), but they leave camp with invaluable new knowledge and new life skills. We partner with local organizations, including the JN Foundation, to offer workshops in financial literacy and health and fitness. That’s in addition to the incredible attributes kids learn on the soccer field: confidence, teamwork and being active. In so many of Jamaica’s communities, the children are happy and proud. But they frequently haven’t received the resources, attention and opportunities to know that they have the energy and power to transform their communities and to succeed in life. We give Jamaican boys and girls attention. We deliver resources. We present them the opportunities they deserve. And they learn to believe in their potential to lead, to succeed, and to be more than they knew they could, on the soccer field and in life. Help us give all Jamaican children playing time.